Sozo Children mission trips provide individuals with a life-changing experience that leaves a lasting impact on their own lives and the lives of others. We do mission trips year round and hope to serve alongside you during dates that best fit your schedule. These questions below mainly address Uganda teams, but we are happy to answer any others you may have. We hope these questions and answers can better help you understand how we work. Let us know if you need help! DO YOU HAVE AN AGE REQUIREMENT FOR MISSION TRIP PARTICIPATION? We have had mission trip participants ranging in age from 6 to 75. However, we do require participants to be at least 16 years old in order to travel without a parent. Anyone younger than that must travel with a parent or a legal adult. Sozo Children does evangelize in the surrounding community. However, we utilize our teams in a support role to our Ugandan brothers and sister as they lead our evangelism efforts. Due to the language and cultural barrier in the communities we serve, we believe teams are better used in this capacity to support our long-term efforts. We strongly desire and pray that each child and family we serve will come to know Jesus as his or her personal Savior and begin a relationship with Him. As such, we are very strategic in walking alongside these new believers in our community. Please respect this method of evangelism as we together watch the lives of our community transformed. DO I NEED A PASSPORT PRIOR TO REGISTRATION? It is highly recommended that prior to registering, you either already have or are in the process of getting your passport. It usually takes between 4-6 weeks to receive your passport, but for an additional cost it can be expedited. Visit passports.state.gov for more information. We cannot book your flight until we have a copy of your passport and Yellow Fever card. DO I HAVE TO APPLY FOR MY VISA BEFORE I TRAVEL? No. The cost of the visa is included in the trip cost and our Commissioning Coordinator will apply for the entry visa on your behalf. Most often you will receive an approved electronic visa prior to departure, however, sometime we do apply for the visa upon arrival. In that case, the team leader will provide you with the cash for the visa fee. WHAT OTHER VACCINES/IMMUNIZATIONS SHOULD I RECEIVE? Please refer to The CDC for the most current and up-to-date information regarding recommended and required vaccinations. Additionally, consult with your primary physician. We recommend being up to date on all routine vaccinations prior to travel. Absolutely! All team members are required to take malaria prophylaxis during their time in Uganda. We recommend Malarone or Doxycycline, however, please consult with your physician for his or her recommendation. Yes! We highly encourage you to fundraise for your trip with Sozo. You will receive a social fundraising page once you register. You can use this to share with your friends and family. We have also provided a great fundraising guide for you that you will receive upon registration. WHEN ARE TRIP PAYMENTS DUE? There are two payment deadlines for your trip. Your first payment due is around $2000-$2500 depending on the trip and will be due two weeks following the registration deadline. We cannot book your flight until we have received the first payment. The remaining trip balance is due 3 weeks prior to trip departure. WHAT DOES OUR TRIP COST INCLUDE? WHAT IS SOZO CHILDREN'S REFUND POLICY? At the time of every trip registration, a $100 non-refundable registration fee is required. Any additional donations Sozo Children receives toward the cost of trip are non-refundable. We are aware of circumstances that may inhibit your ability to serve on a team; therefore, we have three options if you are unable to go on your team. The options include leaving funds in your account to be used on a trip within the calendar year, applying your donations toward another team member’s trip cost, or donating towards Sozo Children’s greatest need. If you over-fundraise for your trip, the same policy applies. HOW LONG IS A STANDARD MISSION TRIP? Most trips range from 8 to 12 days, although we can facilitate trips that last up to 21 days. You will receive a complete packing guide at your first trip meeting. For general clothing ideas, girls will need to plan to dress modestly by wearing skirts, loose fitting shirts, jeans or capris. The guys will wear shirts and shorts around the compound but plan to wear polos or button-up shirts and a pair of slacks to church or when doing door to door ministry. View Packing List Here! WHAT IS THE WEATHER LIKE IN UGANDA? In general, the temperatures during the day range from the mid to upper 70’s to the mid to upper 80’s. The temperature in the evening can drop into the mid 60’s during certain times throughout the year. The weather does vary a bit based on the season, but is hard to predict due to the seasons changing from the norm. ARE THERE TEAM MEETINGS BEFORE THE TRIP? Yes! 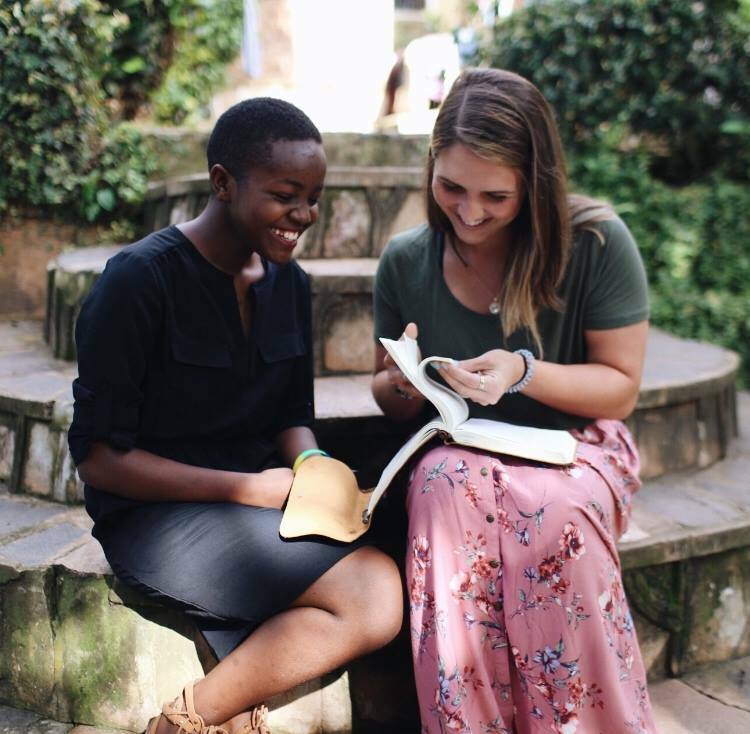 Your team leader will coordinate a time with you to prepare you for your time in Uganda. Keep in mind you must attend a team meeting prior to your trip departure. If you do not attend a team meeting, you will not be able to travel to Uganda with Sozo Children. No exceptions. WILL THE TEAM TRAVEL TOGETHER? The team will likely be flying from different areas of the United States and will meet in Amsterdam. All team members will be on the same flight from Amsterdam to Entebbe. We try our best to book teams together on the same itinerary if possible, however, this is subject to availability. We can guarantee all team members will fly from Amsterdam to Entebbe but cannot guarantee will leave the US together. CAN I BOOK MY OWN FLIGHT? Typically, team members are not allowed to book their own airfare. Only in special circumstances are exceptions made. In those cases, our Commissioning Coordinator will work with you prior to booking in order to ensure you are on the correct flights. WHAT IS THE TOTAL TRAVEL TIME? This will depend on which airport you begin your travel and layovers along the way, typically you should expect between 22-26 hours of total time of travel. Usually team members will have two eight-hour international flights to and from one of Delta’s major hub airports. If you fly from a non-hub airport you will have an additional domestic flight. HOW DO WE TRAVEL ONCE WE ARRIVE LAND IN COUNTRY? In order to ensure the safety of our trip participants, we use our own personal vehicles that are driven by Sozo staff. If our Sozo transportation is unavailable, we hire private transportation with drivers we know and trust having worked with them over many years. Teams begin their day with breakfast and morning quiet time. This time is followed by household chores and food prep, which we assist our Ugandan staff with each day. Our days are spent in the village or around our land helping with specific projects while submerging into Ugandan culture. During the evening, we’ll join our kids for nightly devotion followed by dinner and a time of team debrief. We also spend a day during your time in Uganda for an off day where we will either go to Jinja to visit the Source of the Nile River or a game-drive safari. Teams will eat traditional Ugandan food cooked by our staff every night. Teams will also occasionally eat at trusted local restaurants that serve American-style meals. Your security is our first priority. You will stay in a fenced and gated compound with at least one of our full time Uganda staff members. The guest house is split into separate rooms for men and women. Sleeping arrangements in each room will have a have a few twin sized bunk beds for team members. There will be a kitchen, indoor plumbing, and a shower (usually with hot water). Laundry services are not provided so be sure to pack all of the clothes you wish to wear.